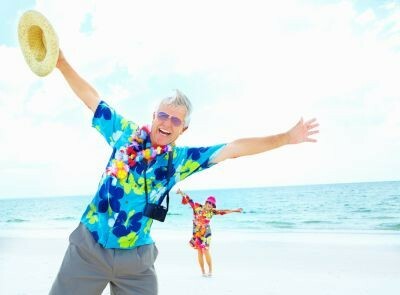 Travelling in retirement can often be high on the priority list. You worked hard to accumulate wealth during your working years to live a comfortable lifestyle in retirement – and now, with time and resources at your disposal, you may want to do things that may not have been possible earlier in life due to personal and/or work-related constraints. With this in mind, we provide you with several savings tips worth considering when it comes to planning that next trip away. It’s important to note that whilst this article mainly focuses on retirees, we think wealth accumulators will find some of the savings tips helpful as well. Being mindful of the transition from employment to retirement and spending accordingly. Understanding the impact of pension payment drawdown and ad-hoc lump sum withdrawals. As such, one of the first things to consider, before we get into the savings tips, is your existing financial situation, specifically the funds that you have to work with. An important question to ask, is whether you have the capacity to sufficiently fund the travel from your regular account-based pension payments (and, other sources of income, such as the Age Pension) or will it require an ad-hoc lump sum withdrawal, for example, from your account-based pension? And, if it’s the latter, is this in line with your overall financial plan in retirement? If you are unsure, these are things that we can help you to explore. Once you know what your annual spending budget is, you can then start formulating ideas with regards to the more exciting aspects of planning travel – this is where the savings tips can help. There are many savings tips with regards to travel, and largely, their usefulness will depend on your own personal circumstances, such as the type of travel you are accustomed to and your intended destination. As such, below are just a few that we thought might be helpful. In many cases, the savings tips here are based on one of the fundamentals of economics – supply and demand. As such, if you are willing to be flexible with your travel plans then you might find that you are able to save a considerable amount of money. The cheapest months to travel are May and November, whilst the most expensive month is December. 5 months in advance for destinations such as Auckland and Bangkok. 6 months and more in advance for destinations such as Bali, Los Angeles, London and Singapore. 5 months in advance for destinations such as Brisbane, Cairns, Melbourne, Gold Coast and Perth. 6 months and more in advance for Adelaide. As with flights, a similar approach can be taken when it comes to booking accommodation. A rough guide for best times to book is 3 to 5 months in advance for domestic and 5 months and more in advance for international. Please note: Whilst you may find cheap deals at the last minute, by booking in advance, not only will you give yourself time to plan other aspects of your travel, but you will also be able to take advantage of cheaper deals designed by companies to initially attract attention/demand. 2. Travel to your intended destination during the shoulder or low/off season and book your flights/accommodation so that your arrival/departure is mid-week, instead of weekends. We have provided you with an example of just how much prices can vary according to not only the season, but also the day of arrival/departure chosen. The example we use, is a popular vacation spot in Merimbula (“Heart of the Sapphire Coast”), in New South Wales. *3rd of May to 18th of September. ^18th of September to 18th of December; 2nd of February to 23rd of March. #18th of December to 2nd of February. Please note: Low/off, shoulder and high/peak seasons can vary depending on the intended destination. As such, the above example in terms of seasons is only a guide for this particular destination; however, a general rule of thumb is to consider avoiding the times in which holidays are usually taken, such as school holidays and the festive season. 1. Book accommodation that is outside of the city hub. Hotels and motels in the inner city are in most instances more expensive than those further out. If you can find something that's close to public transport (e.g. train, tram or bus), you may find that you can save a lot. 3. Consider alternative accommodation to hotels and motels, such as Airbnb, motor homes, caravan parks, etc. ; however, in terms of alternative options such as Airbnb, it’s important to weigh up the potential cost savings with your level of comfort and expectations, namely, staying in someone’s house/apartment (whether it be their primary residence or investment property) as opposed to a hotel or motel. If you are planning to see the sights whilst at your intended destination, the transportation costs associated with getting to and from places can be costly. As such, if you are unable to utilise your own car, consider opting for public transport as opposed to taxis. In addition, in terms of other ride services such as Uber, you may need to weigh up the potential cost savings with your level of comfort and expectations, namely, being a passenger in someone’s own personal car as opposed to a taxi or public transport service. Please note: Although convenient, car rentals can often be quite expensive, when all things are considered (e.g. daily hire rate, insurances, petrol and other optional add-on accessories, such as GPS). Furthermore, if you are in a foreign place, whether domestic or international, driving can be quite stressful as you navigate around. If you are travelling overseas, consider the option to exchange your currency prior to arriving at the airport as the exchange rates on offer can often be cheaper than those available at airport global exchange services. Here is a simple example. Given the current exchange rate of the AUD dollar versus the US dollar, you may find that by exchanging $1,000 AUD at your local Post Office yields $755 US (0.7557 US exchange rate), as opposed to $719 US (0.7192 US exchange rate) at one of Sydney Airport’s global exchange services. In addition, you may wish to consider using a Travel Money card – these can be a convenient way to carry money and use foreign currencies whilst travelling. Funds held on Travel Money cards are fixed into an exchange rate the day you purchase the card, which can help provide you certainty around spending. 1. Tracking your spending. As with any trip away, excitement can sometimes get the best of us, so it’s important to keep track of your spending. Overspending here and there, can quickly add up if left unchecked – as such, whilst travelling consider regularly reviewing whether your spending is in line with the budget you have set yourself. 2. Seniors discounts. When travelling domestically, you may find that certain hotels/motels, cafes/restaurants, attractions (such as landmarks and museums) and public transport services offer discounts to seniors. We hope you have enjoyed our savings tips on how to stretch your dollar a little further on your next trip away. By considering these, you may find that you are able to save some money that can either be kept in your hip pocket or put towards other things that you would like to do whilst away on your trip. Moving forward, if you would like help with understanding your existing financial situation, and whether the types of travel you have in mind fit into your overall financial plan, please do not hesitate to book a time to have a chat with us.